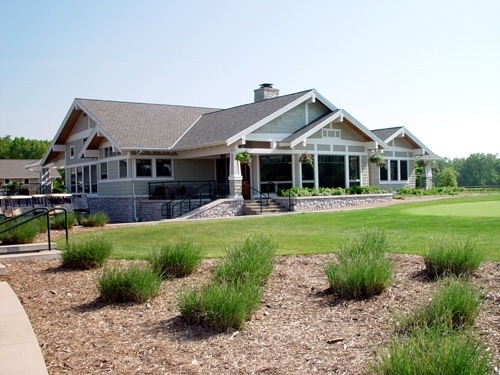 I designed and general contracted this Craftsman Style facility for a new golf course northwest of Grand Rapids. 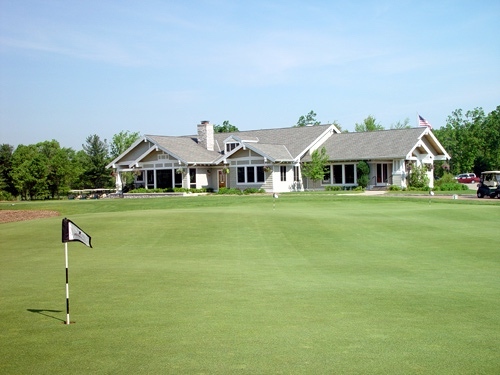 With a wonderfully generous budget, the clubhouse and surrounding support structures enjoy wonderful stone support structures, clear cedar trim and cedar shingle siding. It remains a very comfortable place to enjoy the great game. The Clubhouse, sided in cedar shingles and trimmed in clear cedar boards. Stone base, comfy. View from the putting green. 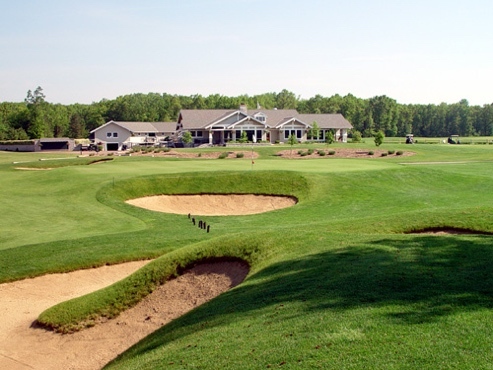 View from short of the 9th green, the sprawling clubhouse with the cart barn beyond. 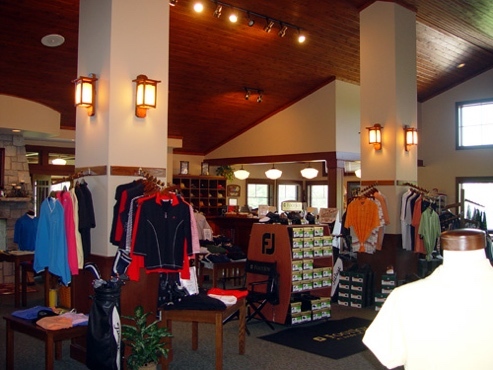 Retail space, with check-in desk beyond. Lofty, comfortable space. 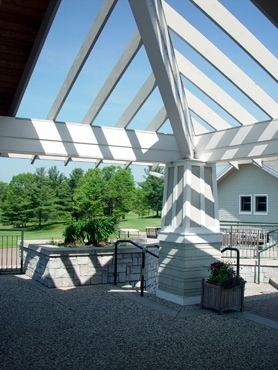 Entry roof detail, clubhouse. Cart barn beyond. The Main Floor Plan. My good friend and co-conspirator Kris Shumaker had a lot to do with this. 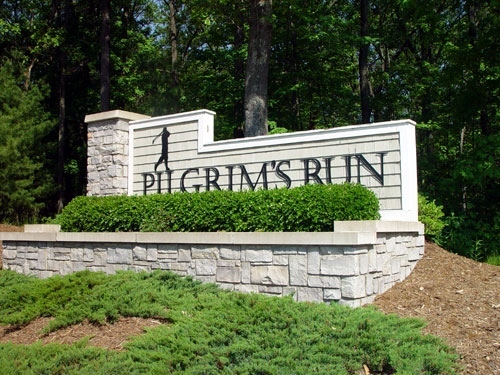 Kris was the course designer/superintendant and owner's rep for the project. 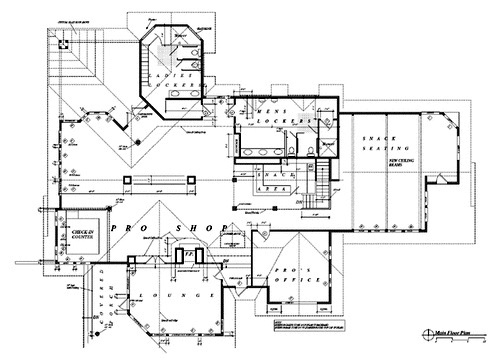 Original construction drawing, it's what I do. The west elevation. Every architect should have at least one project this fun!